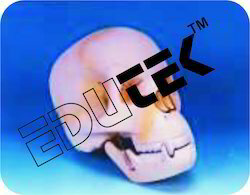 We are a renowned name engaged in offering a wide assortment of lab equipment and anatomical models used in biology laboratories of various educational and commercial institutions. 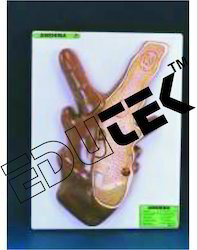 Checked for accurate calibrations the equipment are extremely durable, damaged proof and prove to be important for important for biological and pathological studies. The products are designed and manufactured is tandem with industrial standards and can also be customized to suit client’s requirements. 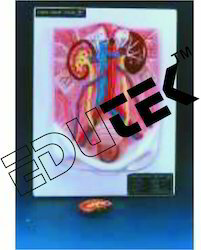 Natural size, showing the four lobes of the liver, peritoneum, gall bladder and vessels, on stand, with key card. We are engaged in offering a quality tested array of 962 VV01 Clamp. The 962 VV01 Clamp we offer is suitable to meet the needs and demands of the clients. Our 962 VV01 Clamp we offer is recommended by the clients for their precise use. 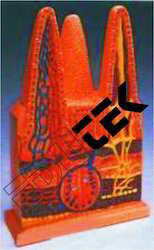 Moreover, we assure our clients that a quality tested array is delivered from our end. Available in small size Also. 100 times enlarged model with one entire villus, one longitudinally sectioned villus showing the arterioles and venules and one cut villus to show the lymphatic vessels, with enlarged representation of a longitudinal section of Lieberkuhn’s crypt. Showing clearly all the important parts, mounted on board, complete with key card.. 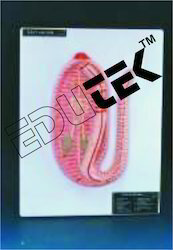 Showing brain and details of spinal cord and the nerves in their natural position in the body, mounted on board, with key card. 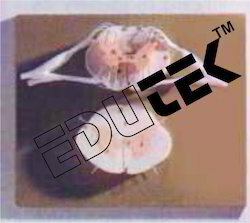 Dissectable into 2 parts, shows kidney with adrenal gland, renal and adrenal vessels and upper portion of ureter. 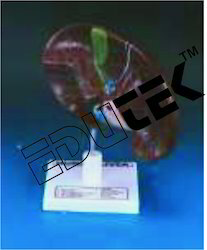 Front half of the kidney is removable to show cortex medulla and vessels as well as renal pelvis, on stand, with key card. 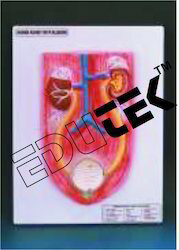 Natural size kidney, ureters, adrenal glands and bladder with prostate as well as the large abdominal right kidney sectioned to show all anatomical details. mounted on base. Natural size, dissectable into 3 parts, shows kidneys, ureters, adrenal glands, bladder with prostate and major blood vessels. 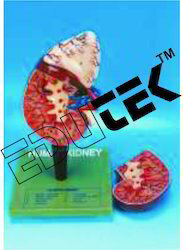 Right kidney sectioned and bladder prostate are removable, on base, with key card. 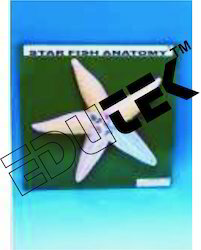 About 1/10th natural size, showing the topography of muscles, in one piece, on base with key card. A set of nine detailed models, mounted on stands, showing the following stages : 1. An embryo about 6 days old, considerably enlarged. 2. Uterus with the embryo in 1st month of gestation. 3. Uterus with the embryo in 3rd month of gestation. 4. Uterus with foetus in 4th month. 5. Uterus with foetus, placenta and umbilicle cord. 6. Uterus with foetus in 5th month. 7. Uterus with foetus in 7th month of pregnancy. 8. Uterus with foetus in 8th month of pregnancy. 9. Uterus with foetus in 9th month of pregnancy. complete with key cards. 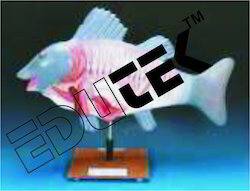 Full size model, as original, articulated but without stand. 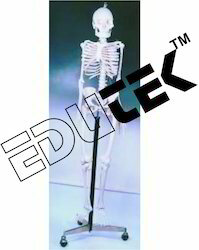 A miniature model for schools to give a general idea of the bones, mounted on stand, height 325 mm. approx. Model showing detailed structure, mounted on base, with key card. Enlarged approx.1000 times. A small pseudopodium which can be opened up showing the structure as under electron microscope magnification. Separates into 2 parts, on base with key card. 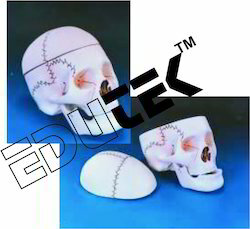 One side of the model clearly shows the oral groove and their continuation into the gullet and the other side shows the details of the internal structure, mounted on base, with key card. 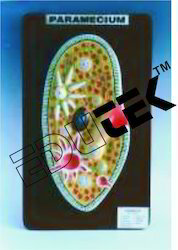 A longitudinal section showing detailed structure of the body wall, nematocysts, hypostome, mouth, tentacles and gastro vascular cavity. 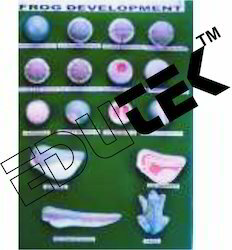 Also showing the testis, ovary and a portion of tentacle in T. S. An accurate and three dimensional model mounted on stand, with key card. A single model showing the enlarged scolex mounted on base, with key card. 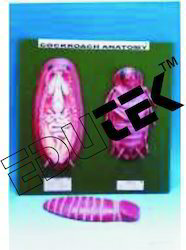 A set of two models, one dissectable into two parts, showing the anatomy of cockroach, alimentary canal regions, salivary glands, reproductive organs, nervous system etc. 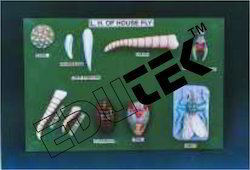 The other model shows the ventral structure with detachable mouth parts, wings and appendages, with key card. Showing the general structure, internal viscera, water vascular system and arm in T.S. 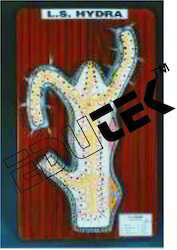 showing details of tube feet, mounted on board, with key card. 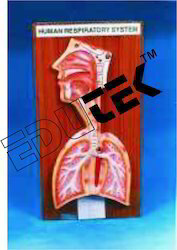 Showing the general structure after dissection, mounted on stand, with key card. 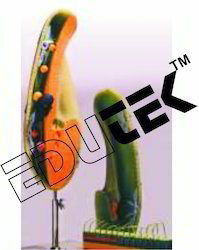 A set of 16 models showing the various stages of the development of frog, from egg to adult, arranged on a large size board, with key card. 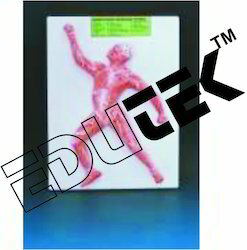 Showing the external character in a portion and the dissection in the remaining, exhibiting all important systems,mounted on board.